Reid's return, Mason’s meltdown and a nearly impossible game of Where's Waldo highlight the NFL Week 5 Recap. WASHINGTON — Reid’s return, Mason’s meltdown and a nearly impossible game of Where’s Waldo highlight the NFL Week 5 Recap. 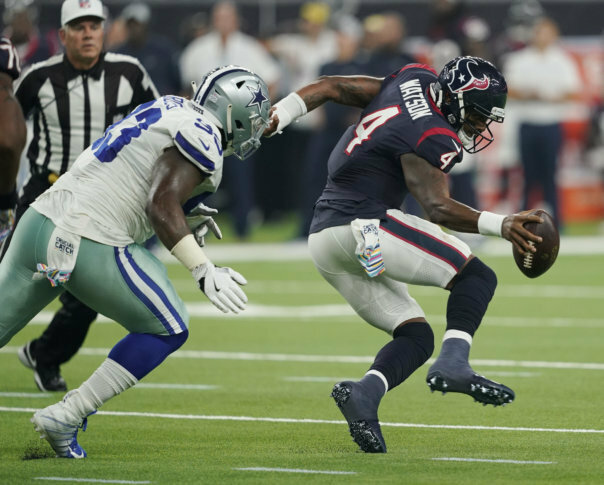 Before DeAndre Hopkins put Dallas in a spin cycle to save the day, there were two big take-aways about Houston: Deshaun Watson gets hit way too much and the Texans nearly lost this game because of their red zone woes (six points in three goal-to-go possessions). Bill O’Brien can’t survive another losing season.